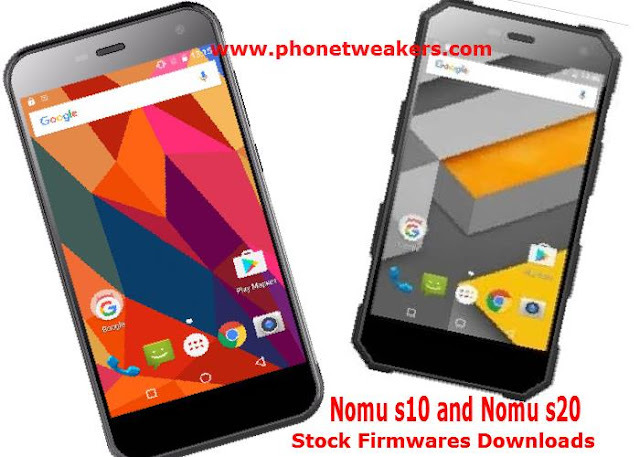 This is the collections of original stock rom for the NOMU s10 and NOMU s20, flashing this rom will help you to unbrick and refresh your phone to factory default and solve many problems. Just download the stock firmware below and flash with Sp Flash toolor you can also flash using your custom TWRP Recovery. This Official firmware is for both the NOMU s10 and NOMU s20. Do not attempt to flash on any other NOMU Android Smartphones and also make sure you choose and install the appropraite Stock Firmware version for your device. voice is very loud and clear. always the priority when I choose a phone. Luckily, I found S10 Pro. external camera, NFC, OTG, etc. It’s totally an all-in-one device. with the overall performance of the device. successfully with 50% of the electricity. Very annoying. My work environment is not good, and this phone is perfect for me. My workmate has already bought it. It has very strong drop-proof and water-proof functions. I believe it will be durable and have longer service life. The navigation ability is very good, I can get a very precise positioning even in the remote region. And the signal is also good. Case of receiving no signal never happened yet. Just Like it. a royalty fan of NOMU, support the sale, support NOMU.